Jello Poke Cakes are one of my absolute favorites this time of year. 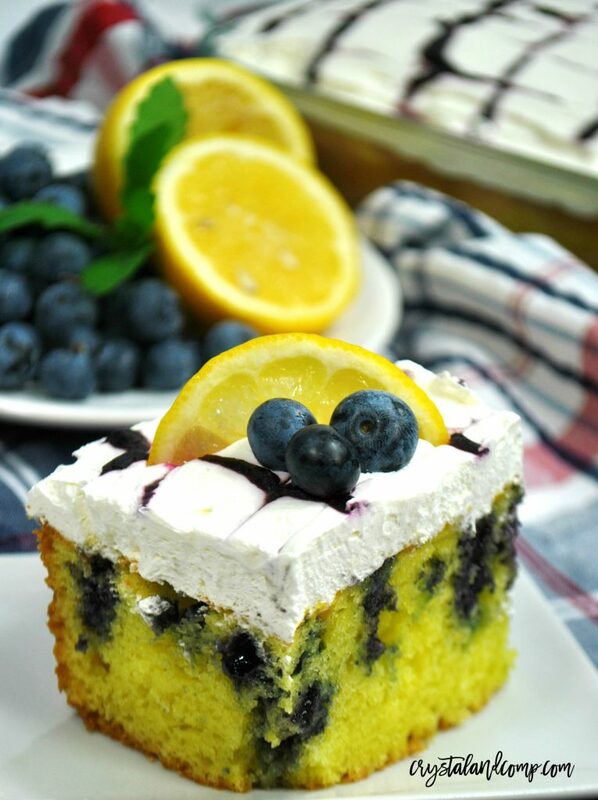 This one combines two of my favorite flavors- lemon and blueberry. 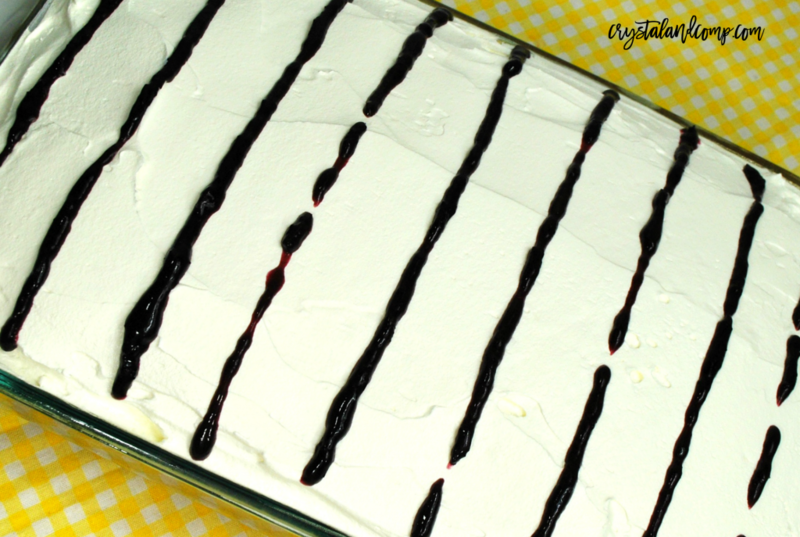 I want to show you how easy this Lemon Blueberry Poke Cake is to make using a Jello Pudding mix and some fresh blueberries to make a jam that soaks into the cake. Seriously, impeccable! Gather up all of your ingredients. I have the ingredients listed below according to the steps and order the cake is made in. First let’s make the homemade jam. This is so much easier than you think, and you will love the flavor they give this dessert. 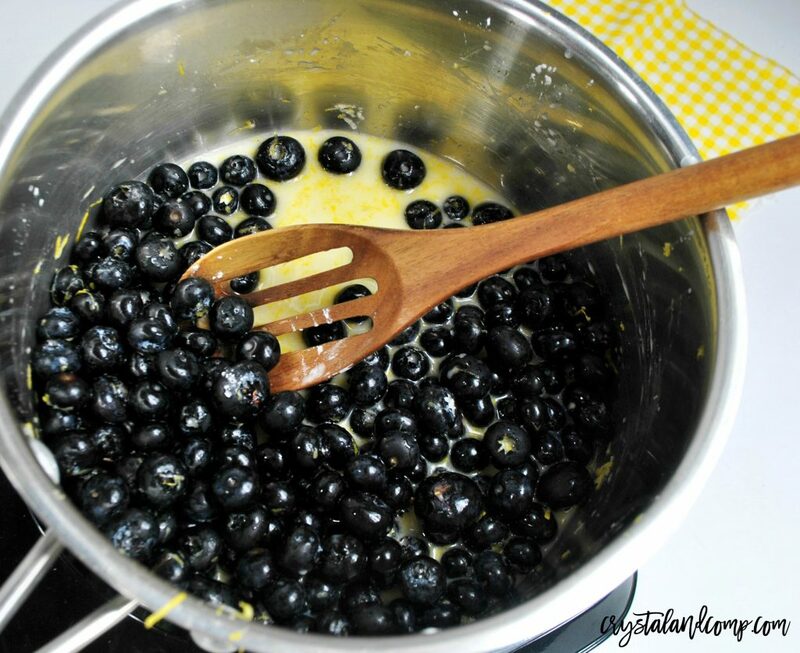 First combine the blueberries, sugar and lemon juice in a stove top pot and mix until combined. Here is a list of some of my favorite sauce pans. Place pot onto medium heat and let the sugar and lemon juice cook down the blueberries. Once the blueberries start to bubble, take a fork and mash them up. Turn your heat to low and let the blueberries continue to cook for a few more minutes. Remove from heat and let the jam thicken as it cools. Once cool enough to handle, pour 1/2 C jam into a squeeze bottle. Now let’s make the cake. Next, preheat your oven to 350 degrees and spray a 9x 13 inch baking dish with Pam baking spray and then set aside. Using a standing mixer like this one, mix together the cake mix, pudding mix, sour cream, water, oil and eggs until combined and smooth. Now you can pour the batter into baking dish and bake in the oven for 25-30 minutes or until a butter knife comes out clean. Once the cake has been baked, using the handle of a wooden spoon, poke holes throughout the cake. Fill in the holes with the blueberry jam. Yum!!! Let the cake cool completely onto the counter before moving it into the fridge for overnight. This is super important. 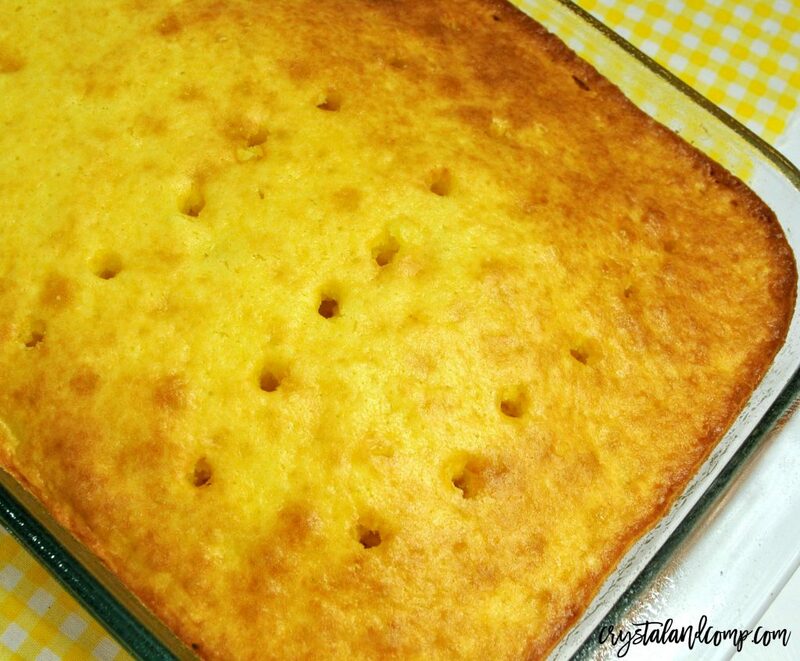 It allows the cake to get really moist and flavorful. The next day when you take the cake out of the fridge, the blueberry jam should be absorbed into the cake. Use the Cool Whip to frost the top of the cake. Now, take the remaining blueberry jam and put it in the squeeze bottle. Pipe lines going straight across the top of the frosted cake just like the photo above. Using a toothpick, pull through the blueberry jam to make a pulled pattern effect on the topping. Top with fresh berries and lemon slices. This is the perfect crowd pleaser and a cake everyone will devour! Make it for your next family gathering, the church potluck, bake sale, birthday party or just any night of the week that a sweet and refreshing dessert is in order! 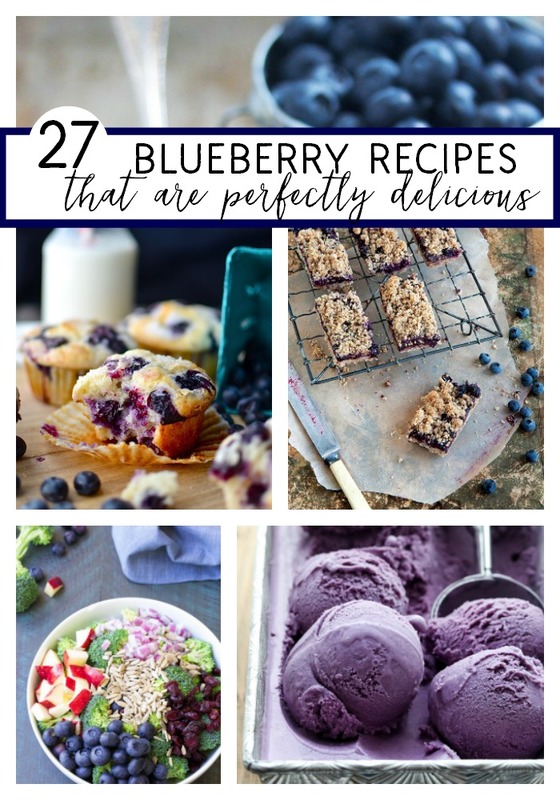 Here are over 25 blueberry recipes that are just delicious! 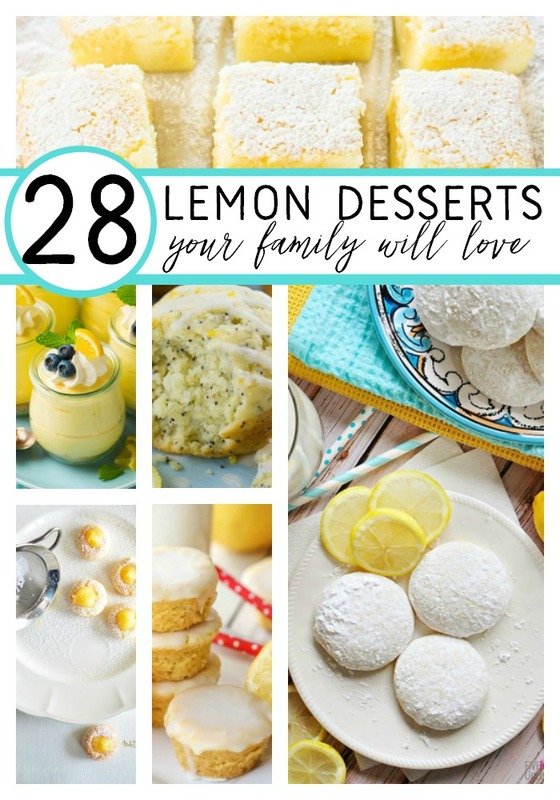 Here are some of my favorite lemon dessert recipes. 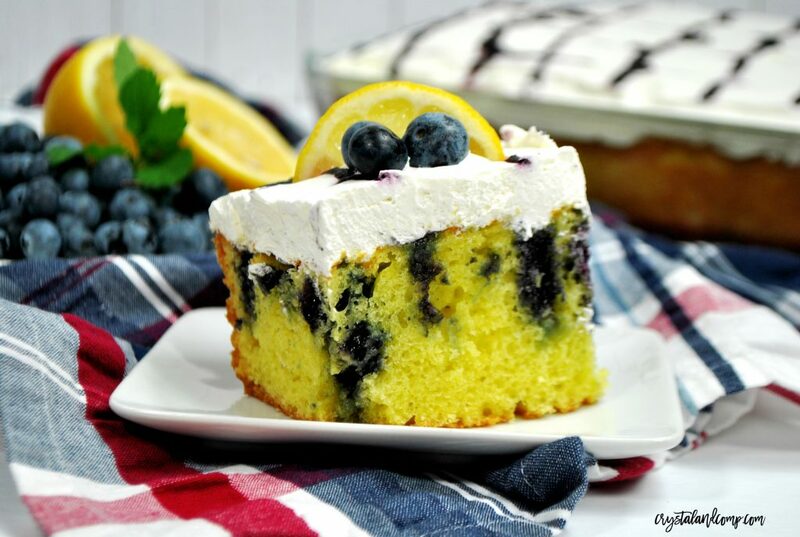 The combination of blueberry and lemon cake is awesome, most of the cake lovers opt for blue berries cakes now a days. Looks something interesting flavour by combination of lemon and blueberry.